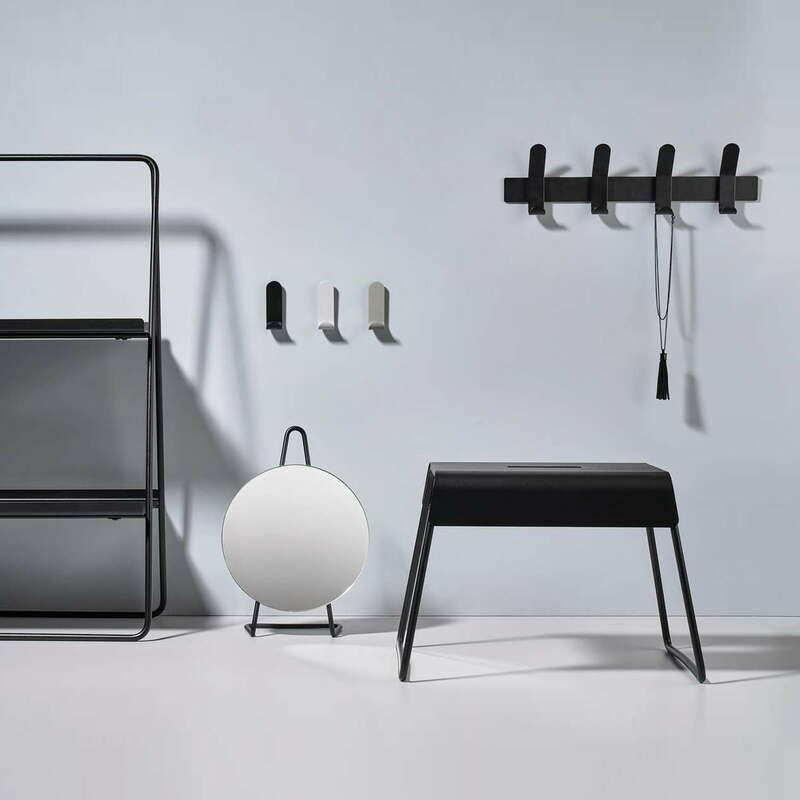 The A-Hook coat hook from Zone Denmark is an excellent alternative to the classic wardrobe and can hold single or multiple jackets, bags and scarves arranged on the wall. Thanks to its rounded shape, even heavy coats can easily be thrown over the hook and find a secure hold. 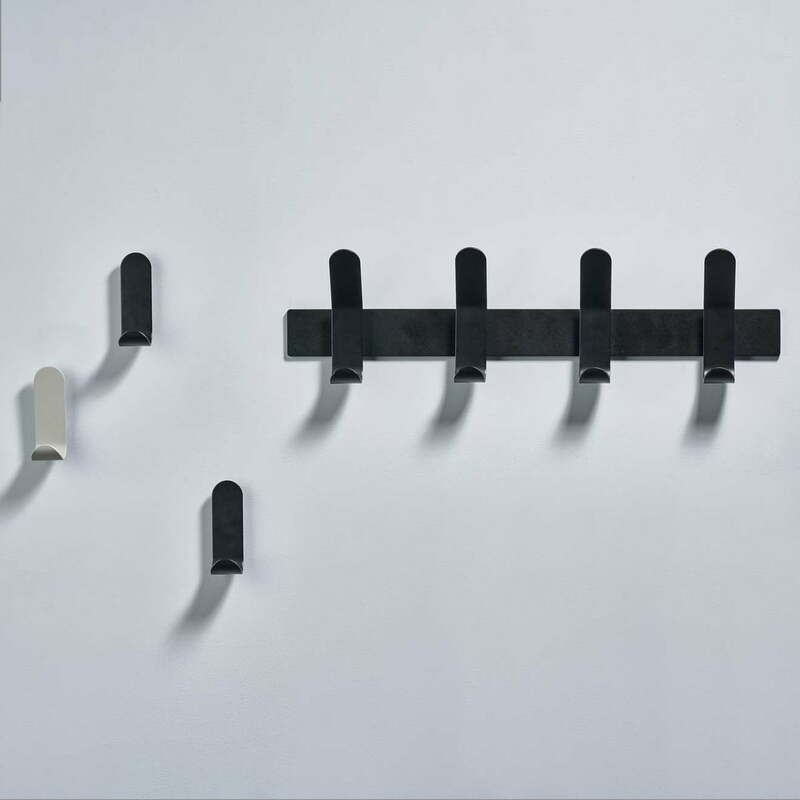 The hook designed by VE2 can also be used to hang towels in the bathroom or kitchen. Due to its powder coating, it also does not mind humidity in the room. 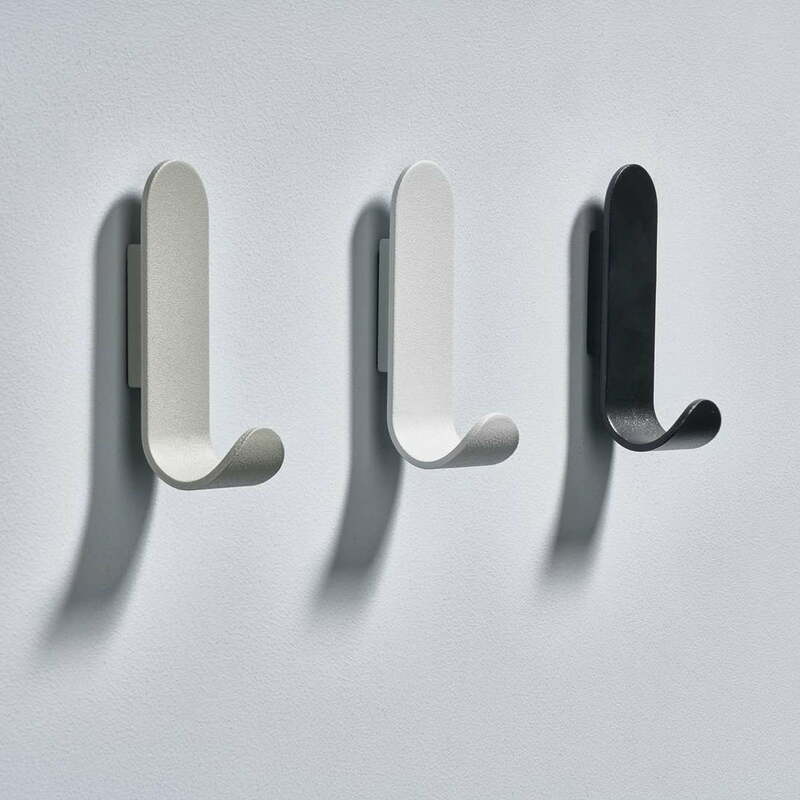 The A-Hook coat hook is available in different colours, which can also be combined with each other and with other products of the A-Series. 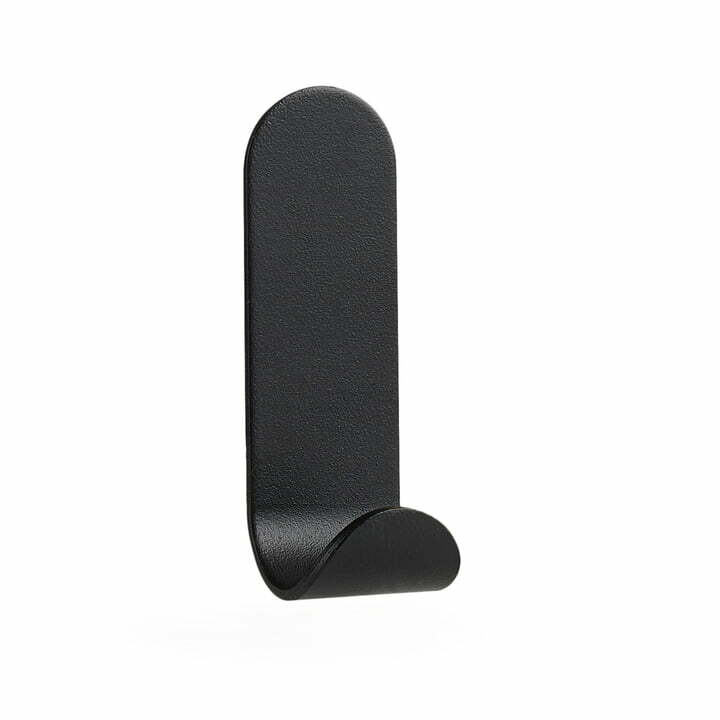 A-Hook coat hook in black from Zone Denmark in single view. Thanks to its rounded shape, even heavy coats can easily be thrown over the hook and find a secure hold. A-series of Zone Denmark in the amino-view. The A-series comprises accessories and small pieces of furniture made of steel, which provide a modern appearance in the ambience. A-Rack coat rack and hook of Zone Denmark in the ambience view. Jackets and coats can be hung up wonderfully both on the coat rack and on the individual hooks.